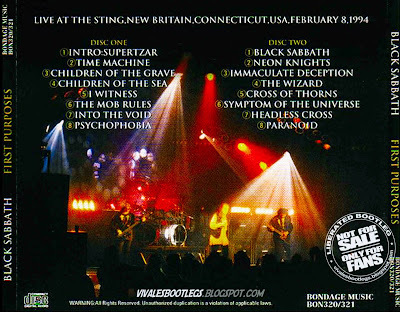 Recorded Live at The Sting, New Britain, CT, USA - February 08, 1994. Excellent Soundboard Recording :: Silver CDs :: Lossless FLAC. 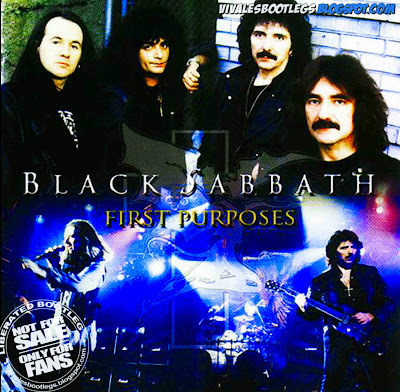 Files: 16. :: Size: 519 MB (flac). Personnel: Tony Iommi :: Geezer Butler :: Tony Martin :: Bobby Rondinelli. Notes: The first night of the tour and a very solid performance.The set list is the usual for the era no surprises for sure, the sound is great.